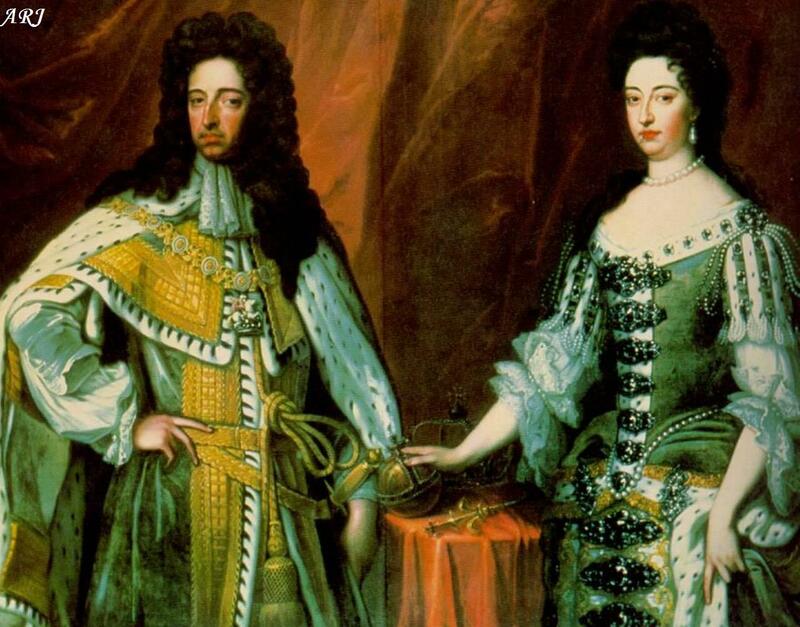 March 24 was a pivotal day in English and British monarchical history. Exactly 410 years ago, in 1603, Elizabeth I died and James VI of Scotland ascended to the English Throne as James I, creating Personal Union of Crowns of the Kingdoms of England and Scotland. A century later, on 1 May 1707, the Acts of Union were signed, officially uniting the Kingdoms of England and Scotland into the Kingdom of Great Britain. The question of James VI’s accession will be discussed in this article, while the Act of Union – in a separate one to be published on May 1. Elizabeth I’s death in 1603 marked the end of the House of Tudor which had ruled the Kingdom of England and its realms for 118 years, since Henry Tudor (Henry VII) defeated Richard III in the Battle of Bosworth Field. Elizabeth was childless and the last of Henry VIII’s legitimate children, so the line ended with her. She named as her successor her closest surviving male relative, James VI of Scotland. James VI was her second cousin once removed as both were descendants of Henry VII Tudor: Elizabeth was Henry VII’s granddaughter (Henry VII -> Henry VIII -> Elizabeth I), while James was his great-great-grandson through two lines (Henry VII -> Margaret Tudor -> James V of Scotland -> Mary, Queen of Scots -> James VI, and Henry VII -> Margaret Tudor -> Margaret Douglas -> Lord Darnley – James VI). 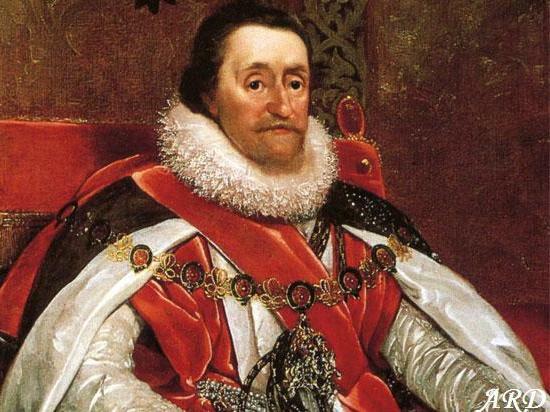 James VI’s accession to the English Throne as James I met virtually no resistance, yet the interesting thins is the fact he wasn’t legally an Heir to the English Throne at all. Henry VIII had the Parliament adopt several Succession Acts which established the line of succession to the Throne. The last of them wast the Third Succession Act, which specifically gave the King to name his own successors: interestingly, the legitimacy of the said successors was not a necessary pre-condition so the King could have placed an illegitimate child of his in the succession line. And actually, that he did: although both lady Mary (future Mary I) and Lady Elizabeth (future Elizabeth I) were reinstated in the succession line, the question of their legitimacy was never addressed and strictly speaking, both remained illegitimate in the eyes of law. It was also expected Henry’s only acknowledged illegitimate child, Henry FitzRoy, 1st Suke of Richmond and Somerset would be included in the succession line as well but he died before the Third Succession Act was adopted. Lady Jane Grey was named by Edward VI as his successor in his will; however, since unlike his father he didn’t reinforce his will by an Act of Parliament, Jane’s accession to the Throne was illegal and had no support whatsoever. The rightful heiress, Mary Tudor (Edward VI’s elder sister) reclaimed the Throne after mere days and Lady Jane was executed. She hand no issue. Lady Catherine Grey was viewed as a probable successor during Elizabeth I’s reign. However, she entered into a secret marriage with Edward Seymour, 1st Earl of Herford: given her position as a possible heiress and proximity to the Throne, the Queen’s permission was required for such a marriage – something that was neither sought, nor granted. Catherine and Edward were imprisoned in the Tower on charges of treason. While there, Catherine and her husband had two sons who were considered illegitimate because from legal point of view, her marriage was not legal (since, as mentioned above, the Queen’s permission was not granted). Incidentally, Elizabeth Bowes-Lyon and by default, Elizabeth II, is a direct descendant of Catherine Grey through one of her sons. Lady Mary Grey married royal gatekeeper Thomas Keyes, obviously without the Queen’s permission. Because Lady Mary was never viewed as a real contender to the Throne, she was merely banished from the Court. With the Greys no longer eligible, next in the Line of Succession Eleanor Clifford, Countess of Cumberland (younger daughter of Mary Tudor). Eleanor herself was long dead so, by ruled of primogeniture, the heiress was her great-granddaughter Lady Anne Stanley (Henry VII -> Mary Tudor -> Eleanor Clifford -> Margaret Clifford -> Ferdinando Stanley -> Anne Stanley). There are no known descendants of Anne Stanley past 19th century, meaning the claim to the English Throne passed to her younger sister, Lady Frances. Thus, the current, purely theoretical, claimant to the (but not British) Throne is either William Villiers, 10th Earl of Jersey (the son of George, Viscount Villiers – a direct descendant of Lady Frances, and his second wife), or Lady Caroline Villiers (the daughter of George, Viscount Villiers from his first marriage), depending on various interpretations. Of course, none of the descendants of Eleanor Clifford ever pressed any claims to the English Throne so this question is purely academical. Moving on from the tangles succession issues, a few more words on James VI and I of Scotland and England. He was born on 19 June 1566 at Edinburgh Castle as the eldest and only son of Mary, Queen of Scots, and her second husband, Henry Stuart, Lord Darnley: he was a great-great-grandson of Henry VII of England through both his parents. He was only months old when his father was murdered; subsequently, his mother was forced to abdicate on 24 July 1567 and the 13-month-old boy ascended to the Scottish Throne as James VI. Elizabeth I named James as her successor and so he ascended to the Throne of England in 1603, upon the Queen’s death. Although he was initially warmly welcomed in England, he survived several conspiracies (Bye Plot and Main Plot), not to mention the infamous Gunpowder Plot, which nearly blew up the House of Parliament along with the King . King James’s reign is the longest in the history of sovereign Kingdom of Scotland; he ascended to the Throne on 24 July 1567 and reigned until 27 March 1625 – a total of 57 years, 246 days. His reign in England started much later but still amounted to a respectable 22 years and 3 days. It is important to remember, however, that while James VI and I was King of both Scotland and England, the two countries were not united at the point. In essence, England and Scotland had the same system as Commonwealth Realms now: the sixteen realms (the UK, Canada, Australia,Papua New Guinea…) remain sovereign, independent countries that have Personal Union of Crowns (share the same Monarch). It wasn’t until a century later, during the reign of James VI and I’s great-granddaughter Queen Anne that the two countries finally united into one – the Great Britain. More on that, in the next post to be published on May 1 – Act of Union 1707.